After the nuclear meltdown at Fukushima, scientists began a massive effort to monitor radioactive contamination of food grown nearby. And one good thing did come out of it—we learned how radioactivity moves through the ecosystem. First, let's be clear that the analysis confirms extensive monitoring kept food whose radioactivity levels exceeded safety limits from reaching consumers. Between 2011 and 2014, 900,000 samples were collected and tested. By 2014, only 0.6 percent of the food exceeded the safety limits. 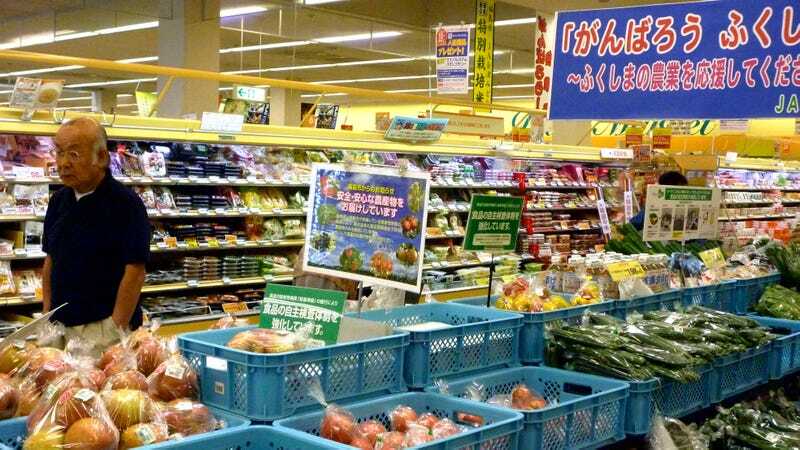 The data from Fukushima show that the radioactivity levels fell quickly in most vegetables: just five months after the disaster, only a handful of samples exceeded the limit. They also showed two peaks for mushrooms, one for fresh mushrooms and the other for dried mushrooms. Tea leaves showed a late spike — they were harvested later than other leafy plants, but retained some radioactivity because older leaves transferred the radioactive elements to younger leaves, says Steinhauser. Meat products also exceeded limits only later, because animals mainly incorporate radioactive elements by eating contaminated plants. The authors found that boars, which feed on mushrooms, were particular accumulators. The results match those from ecological studies in Chernobyl and older weapons test sites, but they provide more fine-grained details for Japan. Hopefully, such a nuclear disaster will never, ever happen again. But if god forbid it does, scientists will know much more about how it affects the food supply.